The Florida Keys Vacation Blog is all about the amazing vacation experiences awaiting you while traveling around the Florida Keys. ... provide you with updates on new and informative web pages as they appear. ... give you insightful feedback from visitors sharing stories about their vacations in the Florida Keys. ... alert you to any great and new finds that we discover or are brought to our attention. To subscribe to our Florida Keys blog (no e-mail address necessary), RIGHT-click on the orange RSS button found at the bottom of the Navigation Bar, and then copy-and-paste the URL of this site's RSS feed into your RSS reader. You can also click on the Google, My Yahoo!, My MSN, or Bloglines button if you keep a personalized home page there. It's simple, just follow their instructions. In case you're wondering, RSS stands for really simple syndication and once you start using it, you'll be amazed at how much more of the world you'll have at your fingertips! Continue reading "Miami International Airport Maps, Car Rental & Hotel Information"
Continue reading "Herrera Wreck, Islamorada Diving Site With Treasure"
Continue reading "Handicap Accessible Tips To Plan Florida Keys Vacations"
Florida Keys spearfishing attracts the hunter who dives and fishes and is now an eco-friendly sport as it's the best way to target the invasive species of lionfish. Continue reading "Florida Keys Spearfishing, Extreme Fishing & Diving Sport"
Some of the best fishing in Florida is for Florida Keys snook, often compared to bass for their fast, hard strike and love of cover. 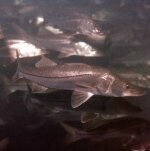 Continue reading "Florida Keys Snook, Florida Sport Fishing Enthusiast Best"
Florida fishing regulations, fish identification information and Florida fishing license requirements for a better, compliant fishing vacation. 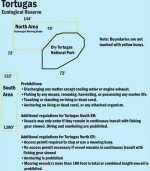 Continue reading "Florida Fishing Regulations & Fish Identification"
Fishing in Florida Keys fish facts and overview, fishing tips, bait fish advise, and tackle supplies for a successful saltwater fishing vacation. 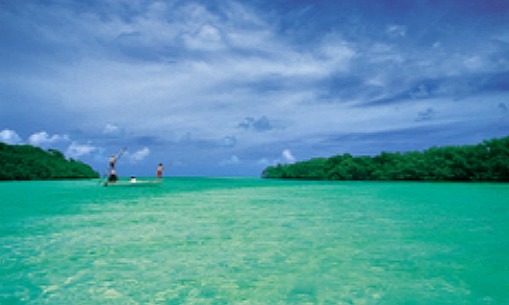 Continue reading "Fishing in Florida Keys Facts, Tips & Online Fishing Store"
Everglades National Park fishing includes fresh, saltwater, kayak fishing and flyfishing for bonefish, snook, permit, barracuda, snapper, even shark. Continue reading "Everglades National Park Fishing Tips And Facts"
Activities for adults with disabilities on Florida Keys vacations include swim with dolphin programs, eco tours, & wheelchair accessible hiking trails! 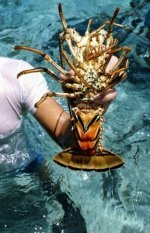 Continue reading "Activities For Adults With Disabilities & Children"
Lobster fishing locations, tips, rules and regulations, for spiny lobster hunting in the Keys. Continue reading "Lobster Fishing, Where & How To Go Florida Keys Lobster Hunting"
Lionfish, dangerous to the Florida Keys ecosystem are routinely hunted in Florida spearfishing derbies. Continue reading "Lionfish Invasion Poses A Toxic Threat To The Florida Keys"
Florida Keys fly fishing interview with international fishing guide Bob Guard gives fly fishing tips and techniques for tarpon and other Florida fish. 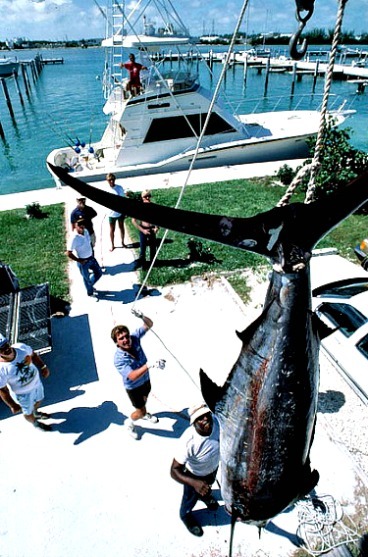 Continue reading "Florida Keys Fly Fishing Tips & Interview With A Pro"
Florida Keys humps have the best deep sea fishing action, attracting sport fishermen looking for sailfish, marlin, wahoo, and other large game fish. 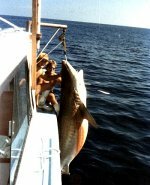 Continue reading "Florida Keys Humps GPS Coordinates & Deep Sea Fishing Facts"
Florida Keys flats fishing tips for best saltwater fishing results from Key Largo to Key West flats. Continue reading "Florida Keys Flats Fishing Tips For Key Largo To Key West"
Dry Tortugas fishing is famous for trophy fish and lack of traffic, making this a top overnight destination for select Key West fishing charters. Continue reading "Dry Tortugas Fishing Is The Ultimate Sport Fishing Experience"